Amazon Prime Day is here! Amazon’s huge 36-hour sale kicked off today at 12pm PT (8pm BST) and offers discounts on millions of items, including video games. Of course, as the name implies, you need to be an Amazon Prime member to get in on the deals – if you’re new to the service, you can sign up for a free month. Otherwise, it costs $13 per month, or $99 for 12 months. Keeping up with all Prime Day discounts can be a bit intimidating, particularly since there’s different types of deals available. Prime Day Exclusive Deals will last for the full duration of the sale, Spotlight Deals are only available for 24 hours, and Lightning Deals are only available as long as stock lasts, meaning they could disappear very quickly. 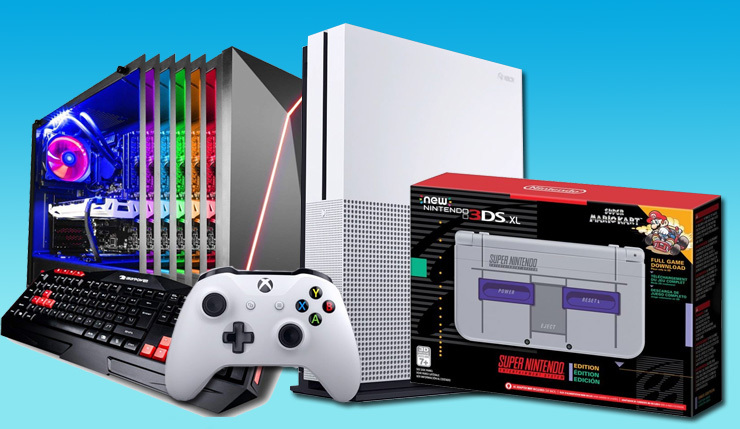 Obviously, we won’t be able to keep you up to date with all the Lightning Deals, but here are a few select video-game-related Prime Day Exclusive Deals you might want to take advantage of (Update – the Nintendo Switch bundle is back! It seems it may come and go over the next day and a half). Get a Switch, 64GB SanDisk MicroSDXC card, and $20 of eShop credit for the price of the console alone! Xbox One S Bundle – $229.99 (23% off) [Link] Get 1TB Xbox One S, 3 Months of Xbox Game Pass, 3 months of Xbox Live Gold, and a copy of Rare Replay. If you want to keep up with all the latest gaming deals, keep checking the Prime Day deals page and the video games department. Note: Unsurprisingly, Amazon has been slammed with traffic, and is acting strangely at the moment. The above-linked deals should all work, but the Amazon home page and other parts of the site may not load properly. Hopefully Amazon gets things working properly again soon. Amazon Prime Day runs for 36 hours until July 17 at 12am PT. No word yet on whether the deals will be extended due to the current Amazon wonkiness.